The real leather backpack "Tripack Nature" is a trendy backpack with an adjustable shoulder strap, made from real natural leather. This leather backpack is funky and practical! The leather backpack has a zipper-closed inside pocket and an external zipper-closed mobile or key pocket which gives you easy access to your valuables. This backpack from real leather is produced from a combination of high-quality natural (goat leather) and black (sheep) leather. 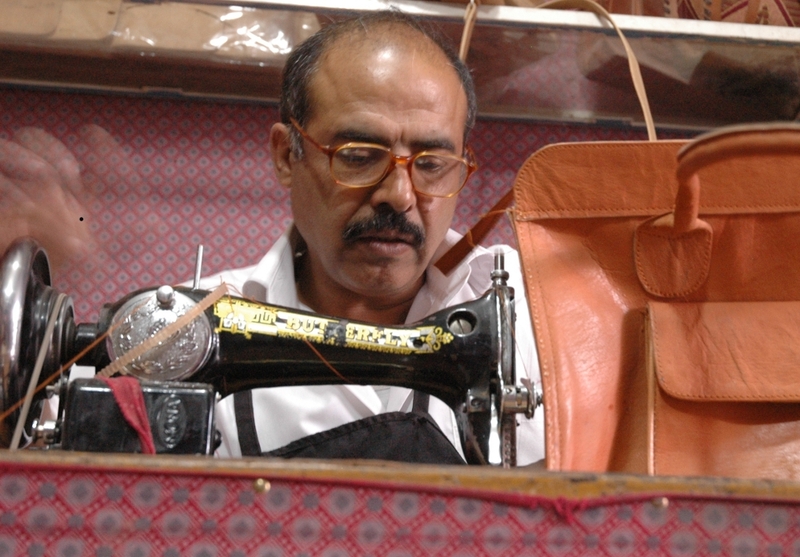 This real leather backpack is handmade in Kabul, Afghanistan. 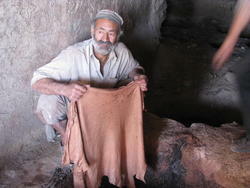 Buy Afghan products and support the Afghan economy and reconstruction process!